When I saw this stamp I immediately thought of my sister, Sue she is not only my sister but my very best friend and has been since the day she was born all those years ago :) I am allowed to say that because you see I am the older sister so however old I say she is I know that I am 5 yrs older !! So why don't you give this challenge a go, our lovely design team love visiting your blog and leaving comments and then the winners are randomly picked so everyone has an equal chance. For more details go here hope to see your entry up there soon . Hi Annie...how are you?? Oh this is such a WONDERFUL card and I know that your Sister would have just been so tickled and pleased with this BEAUTY!! Hope that you are well...enjoy your weekend!! 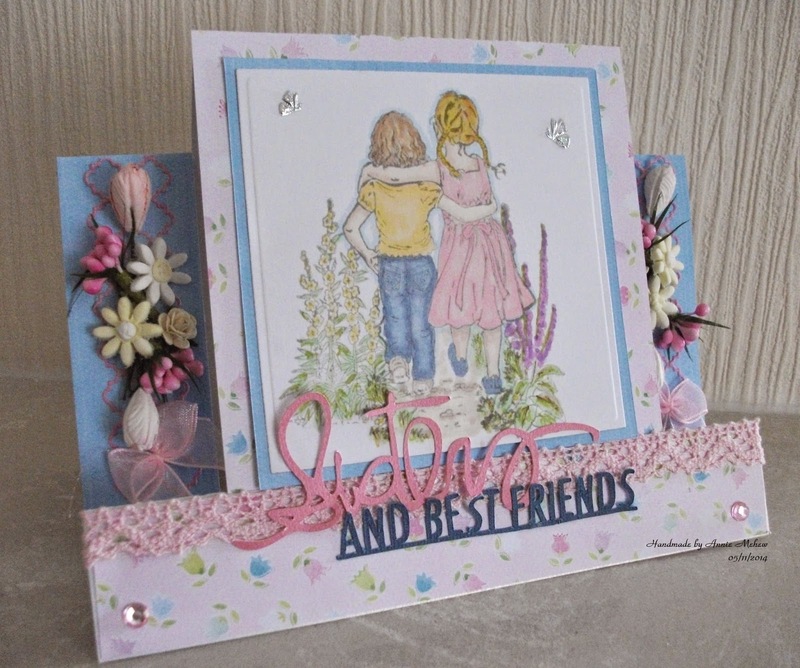 Such a lovely card Annie and it's so lovely to hear that you have such a special relationship with your sister. lucky to have a Sister and best friend in one, I often wish I had a sister. Hi Annie! Your card is gorgeous! I love how you used pink and blue together. The flowers and pink lace make beautiful embellishments! I just love the image and having two sisters of my own, I know how very much we cherish them. 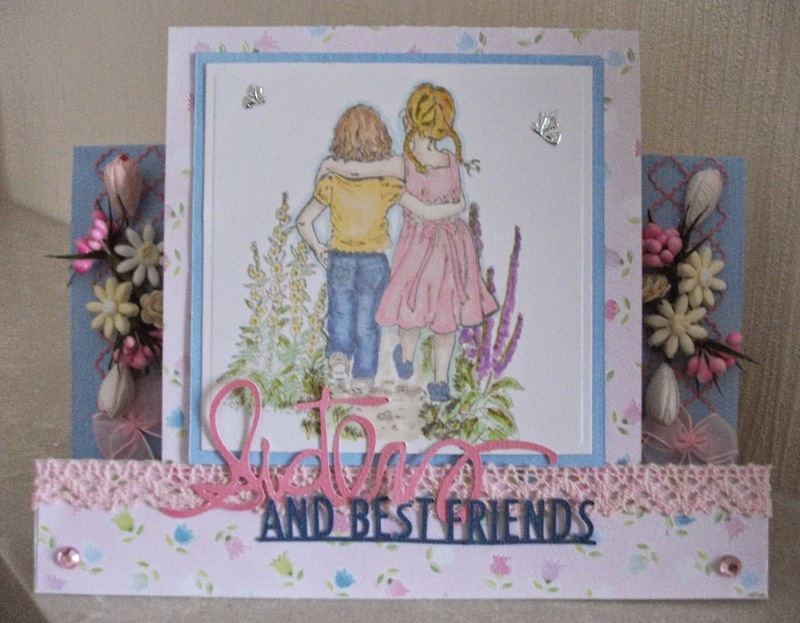 Thank you for creating such a lovely stepper card!